Home / family / Nintendo / pc / playstation / reviews / video / videogames / xbox / Snake Pass: ssssstupendously fun! Click here to see our video review! 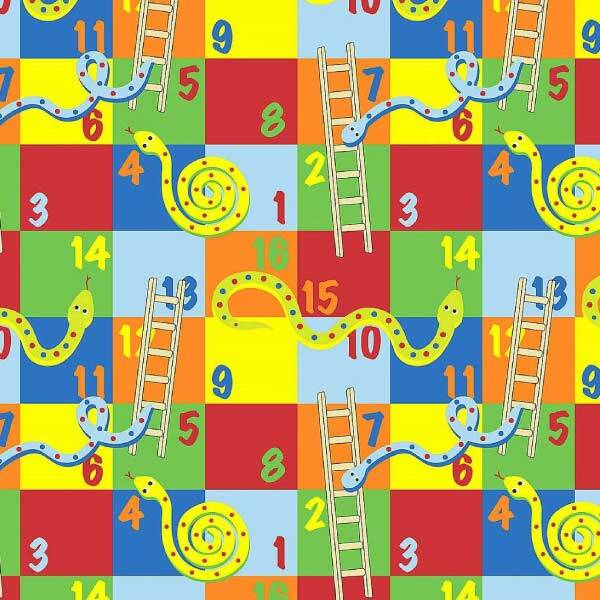 Snakes and Ladders, a classic. Throughout the years there have a variety of games that revolved around snakes in one form or another, from boardgames such as snakes and ladders to the main staple of the old Nokia phone... “Snake Game” and "Snake Rattle and roll"on the NES and Genesis/Megadrive. The majority of the time however, snakes represent an obstacle, an enemy to avoid or defeat on the way to your final goal. 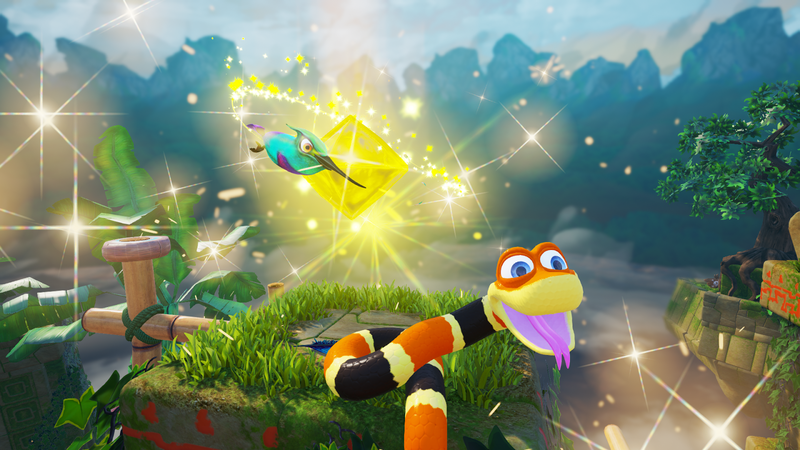 It is time for a snake to take the lead in a video game and with Snake Pass you get the change to do just that. Snake Pass is a puzzle platformer by Seb Lieb from Sumo Digital, the independent studio that brought us games such as LittleBigPlanet 3, Sonic & AllStars Racing: Transformed. During their internal game jam Seb’s game won first place and was taken into further development.It was publicly shown during last years EGX Rezzed, (previously named Eurogamer Expo) a trade fair for video games held annually in the United Kingdom. The game features the vegetarian snake Noodle and his hummingbird friend Doodle. These two friends would like nothing more then lazy around in in the sun on “Haven Tor” a series of islands that mysteriously float in the sky. But a strange force is messing with their only means of transportation through their home, portals that are activated by keystones. Doodle urges Noodle to take action and fix the portals so that they may go back to their relaxing ways. 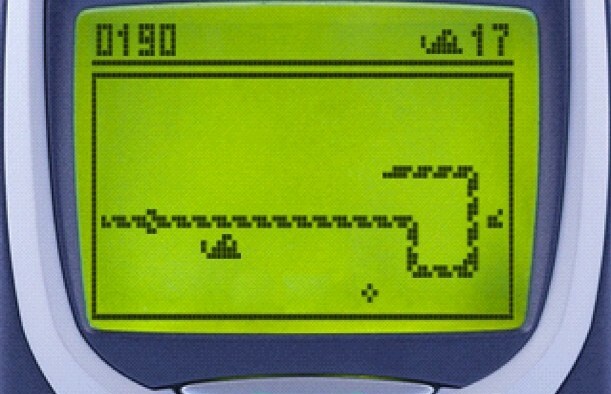 Because snake games are fun Dr Jones! Even though the description might here might suggest otherwise, the game brings a relaxing atmosphere as it takes you though 15 levels across 4 worlds filled with increasingly more challenging puzzles that need your brains and your hand, eye coordination to resolve. All while backed by a beautiful soundtrack. The controls start simple enough, directional and camera controls, a slither button to move, a button to lift your head and and a squeeze button to hold on tight. You are also able to call in your friend Doodle to lift your tail and give you a boost. 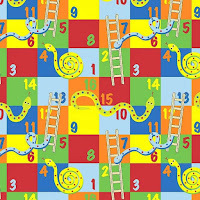 Even though each option is simple enough to use, each requires a level of nuance and practice to use them correctly solving the more challenging puzzles. The intent is to find the missing keystones in order to reactivate the portal. On the way you collect blue orbs and gold coins hidden through the map. You will learn quickly how the physics work in the game and how you can use some of that to your advantage and where it’s pitfalls are. Many times did I have Doodle hold my tail just a little too long making me tumble past my objective. When trying to solve the secrets and more challenging puzzles you might fall of the island but you instantly respawn on the last checkpoint you touched allowing you to retry without a long wait. This is important in a game that often takes some trial and error to figure out. I did find that at times the auto camera positioning would get in the way and while trying to fix the angle,Noodle would fall of what ever structure I was climbing on forcing me to start over, this could get a little frustrating at times, but in most cases everything works really well. 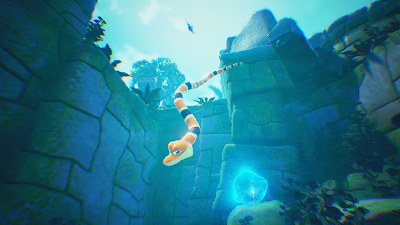 Snake Pass screams charm on every level, with lush environments, warm colors and crisp textures. The main characters look to be plucked straight from a Saturday morning cartoon ( remember those times?). Built on the unreal 4 engine. The game looks beautiful on each system it is released on. If you have a playstation Pro and compatible HD TV you will be able to play Snake Pass at a higher frame rate with High Dynamic Range enabled. But even without HDR, the color pop in this game is like swimming in a rainbow of happiness. Snake Pass 's sound design consists of a variety of soothing nature sounds, with excellent foley and satisfying dings, sparkles and twirls as you pickup each goodies. Warnings by Doodle are identified by a cool birdchirp and when Noodle is having trouble and start panicking you hear his trembling voice exclaim a jittery WHaaaAaa! There is no voice acting, all needed information get displayed on the screen when Noodle chirps at you. All of this is complimented by a wonderful soundtrack composed by David Wise who has a long standing career with Rare and Nintendo and has been responsible for the soundtracks in many games including the Donky Kong games and the upcoming Yooka-Laylee. Besides the needed keystones to move forward, each level also contains a number of orbs and golden coins. You do not need them all to move forward but off course it is fun to complete the levels and find all it’s secrets. The indicator on the HUD does not show you what order they are in, but each time you complete the level your pickup progress is saved leaving you with space to only have to look for those missing objects. All this gives the game replay value and also a choice if you feel stuck in finding all items and just want to move forward for now to see the next level. Looking for more replay challenge then you can always replay the levels in the time trial mode, this feature is missing on the Switch but one of the developers confirmed the switch edition will also get the time trial mode patched in at a later date. The game is rated E for Everyone by the ESRB. Void from bad language or violence the game offers carefree family and can safely be played unsupervised. 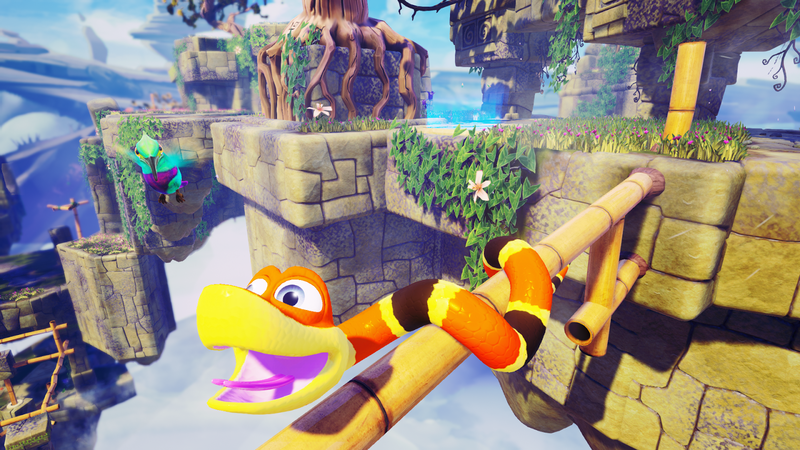 Even with the snake being the main character all fears would be put to rest by its friendly, colorful design, name and the fact he is a vegetarian. 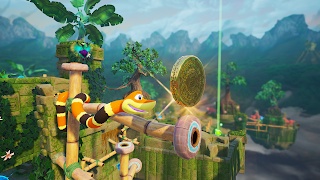 Overall recommendation.Snake Pass brings a great new twist to the platforming puzzle game and offers a great deal of content and fun at a low price point. In an era where games often are dominated by in-your-face action , violence and edgy storylines and Nintendo seems to rule the family approved content, it is nice to see this game available on every system. Unless you are totally not into puzzle platform games this game should be in your library. Did you try Snake pass? What did you think?